Big rich and fleshy black fruit throughout this wine with additional toffee and vanilla notes. Sneaky tannins bring a touch of grip to the palate. Mas Mallola is from the NE corner of Spain and is a blend of the Priorat’s two indigenous varieties, Grenache and Carignan, with an added touch of Cabernet Sauvignon and Shiraz. This wine is aged for 20 months in French oak barrels. Mas Mallola is produced from our organic vineyards, which are treated using biodynamic methods adapted to the environment. 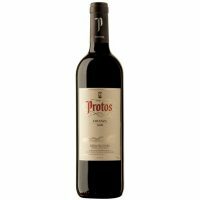 A wine that can be paired with all meats, and marries particularly well with marinated pork, lamb or beef.